It's the first of the month, which means a new challenge on the Joy Clair blog. Be sure to stop by the blog to see all the inspiration from the team and to play along for a chance to win the prize! Below is the inspiration photo. I just loved the colors and all the tea cups! 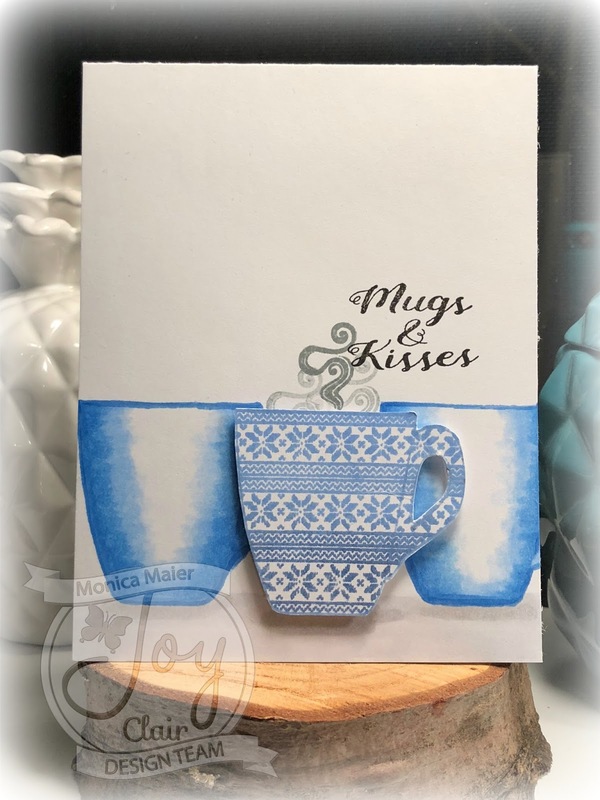 I started stamping the mugs from Christmas Coffee, using a light blue ink to stamp the mug outline and colored them with copics. The patterned mug was stamped in two shades of blue on a seperate sheet and then cut out. 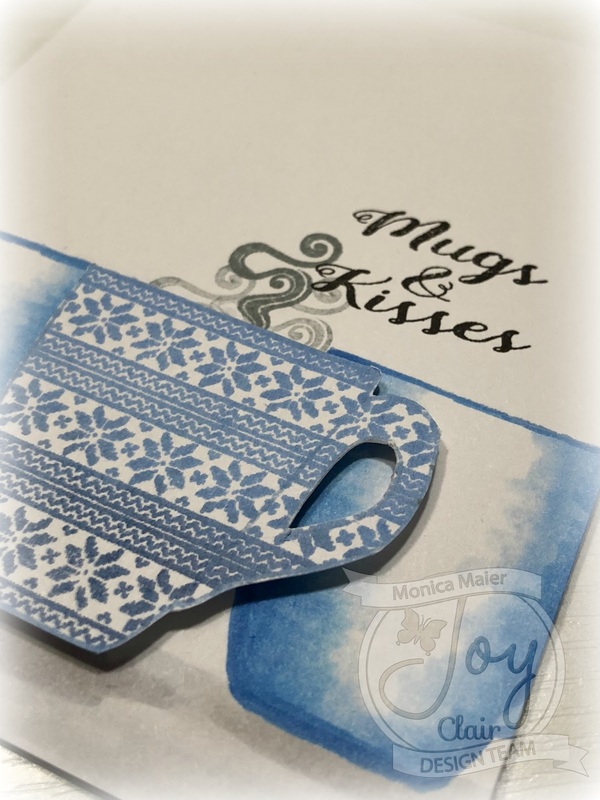 I stamped the steam for the pattern mug in gray ink and stamped off for the lighter versions. To finish the card I adhered the pattern mug with foam tape, added the sentiment from Christmas Cocoa and used copics to create shadowing under the mugs.